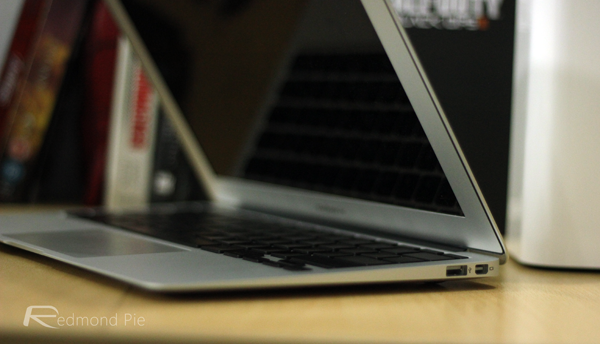 Apple has applied for a new patent that could see its MacBooks last for days, if not weeks without the need for an external power source. The technology, based on fuel cells, is likely quite a way from being made available in a consumer product. While the patent itself does not actually mention the device that it is talking about, the reference to a MagSafe connector certainly points to MacBook computers being the target for the new technology, rather than iPhones or iPads. The fuel source comprises at least one of: sodium borohydride and water; sodium silicate and water; lithium hydride and water; magnesium hydride and water; lithium borohydride and water; lithium aluminum hydride and water; aluminum hydride; an amine borane complex; a hydrocarbon; lithium aluminum hydride; magnesium borohydride; a magnesium borohydride-amine complex; compressed hydrogen gas; and liquid hydrogen. 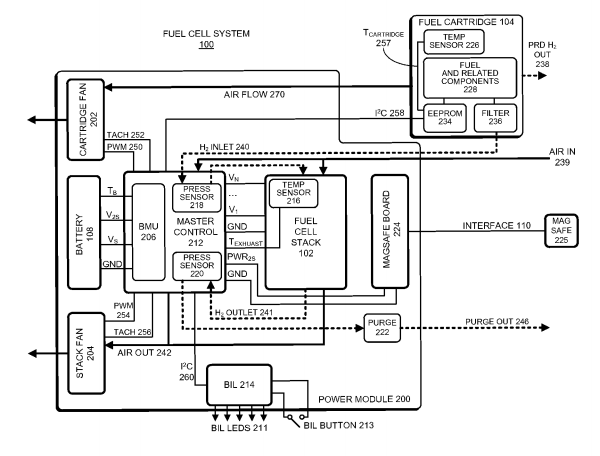 The magic behind fuel cells is complex, and the conventional wisdom doing the rounds right now is that Apple would combine the new technology with existing battery components, allowing devices to run off conventional batteries for the most part, but switching to fuel cell technology should extended use away from a power source be required. It might not be a coincidence that the filing comes only a couple weeks after a rumor suggested that Apple was working with a British company called Intelligent Power to create a long-lasting hydrogen-based power source for the iPhone. At this point, it’s important to remind everyone that Apple throws a lot of patents at the wall and not all of them stick. There’s little doubt that Apple and its competitors are working on new ways of powering their mobile technology, and while this patent is promising, we wouldn’t want to put any sort of time scale on when a fuel-cell-equipped MacBook will hit stores. Apple will never take that road, this article is unreal. $98_per_hour special report!!! !……….After earning an average of 19952 Dollars monthly,I’m finally getting 98 Dollars an hour,just working 4-5 hours daily online….It’s time to take some action and you can join it too.It is simple,dedicated and easy way to get rich.Three weeks from now you will wishyou have started today – I promise!….HERE I STARTED-TAKE A LOOK AT….tgd. Are you kidding? Apple relies on battery power that dies, so in 3 to 5 years you replace your device. For everybody have no experience of how to ՍΝᏞΟᏟΚing their AT&T devices, go use just google atttiphooneuunlocking, we could սոⅼοсking all AT&T device current, including the brand new 6S and 6C.